With over 20 years of experience, Kimberli has a broad range of skills, knowledge, and professional networks that she applies to the successful design and implementation of Corporate Social Responsibility, Local Content, and Supply Chain Development Programs. She ensures that programs are aligned with corporate and donor strategies and community needs and that they successfully engage employees, build local capacity, and achieve sustainable results. 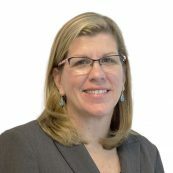 Kimberli serves as Chief Learning and Partnerships Officer at PYXERA and provides training and technical support to global staff, consultants, volunteers, and partners. Her earlier contributions to PYXERA focused on building the organization’s service offerings and capacity to deliver local content and economic and community development programs. She led the design and implementation of the Integrated Community Development Program in Guatemala, the first Supplier Gap Analysis, the Angola Supplier Training Initiative (CAE- Apoio Empresarial), the Mozambique Supplier Capabilities Assessment and other community and economic assessments and development programs. Prior to joining PYXERA Global, Kimberli was the Director of Enterprise Development at Counterpart, International and helped create and build Counterpart’s Enterprise Development Division. She also serves on the board of the Pikes Peak Chapter of the American Red Cross, the board of Volunteers for Economic Growth Alliance (VEGA) and served as the first Executive Director of the Susan G. Komen for the Cure® Southeastern Colorado Affiliate.